My enaa is Eleanor Yatlin. Enaa means mother in Koyukon Athabascan. My mother was born in late Sammy and Sophie Sam’s winter camp near Huslia, Alaska. She is Koyukon Athabascan. Her parents were the late Edwin and Lydia Simon. Her paternal grandparents were Simon and Julia Simon. Her maternal grandparents were Francis and Christine Olin. She was raised in Huslia and married my father, Al Yatlin, Sr., and they raised six children. She stayed home to raise her children Sharon, Angela (me), Tanya, Al Jr., Solomon and Johnnie. She and my dad celebrated their 45th wedding anniversary this year. My mother taught us many lessons growing up. One lesson I learned was to work hard at whatever you are doing. She taught us how to cook, do beadwork, cut fish, start a fire, keep a fire going, get prepared for a picnic, boat ride or camping. I remember how we had to wake up early to get ready to go on an outing. We had to rush around for at least a couple of hours. I remember being tired and annoyed, but was always grateful when we had a sandwich and snacks ready to eat. With so many of us, we had to work together. Mom was like a drill sergeant and knew what needed to be done and prepared. If one of us forgot something, she knew who forgot it and reminded them again. We were always comfortable because she helped us to prepare. She made us dress up warm and fed us well. It feels so good to be comfortable out in the wild. Even though it was hard work to prepare for something, mom taught us the value of being prepared. If we got hungry or cold, it wasn’t because she didn’t warn us. It was because we didn’t listen to her. I’m probably the same way to my kids now and they probably get annoyed with me (smile). However, I don’t see them complaining when they are warm, dry and fed. My mother taught the girls how to bead necklaces, earrings, barrettes and boots. 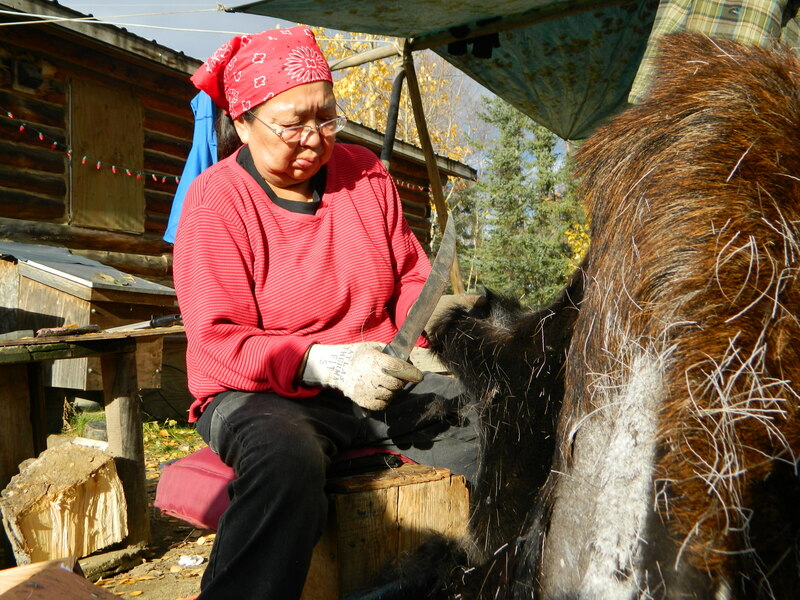 She taught us how to repair torn moose/caribou boots. I don’t remember how to do everything and am not very good at them. My mom is also a great quilter and has an eye for patterns. She has sewed quilts for her each of her grandchildren. 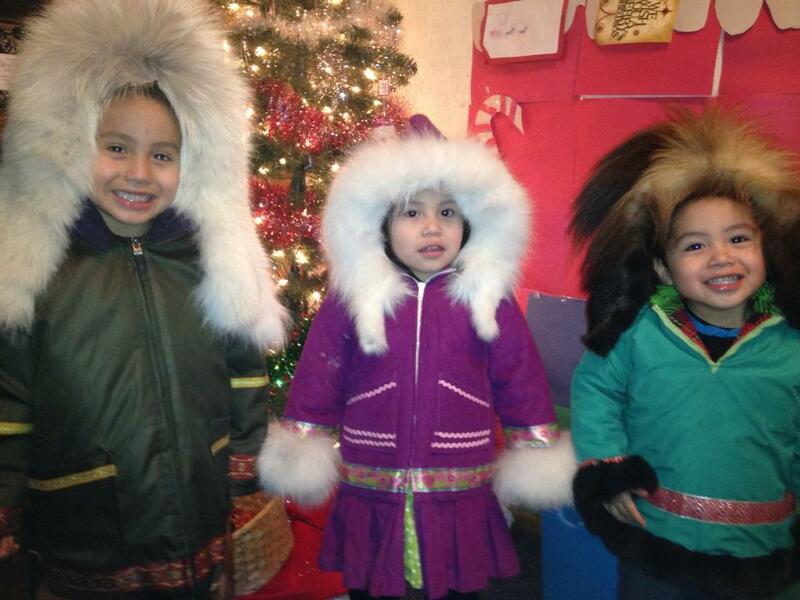 Mom and my sister, Tanya, have worked together to sew kids parkas over the years. Mom taught us how to cut fish at camp during the summers. I consider her ability to fillet a salmon an art. She was always careful and reverent when working on fish. She and the rest of the family had to work hard for every pound of fish we caught. She would work hard all day and still have energy to cut fish. She loves cutting fish. We had to take good care of her fish by keeping the fire going in the smokehouse. We had to hang them up and we were not allowed to drop it or get it dirty. 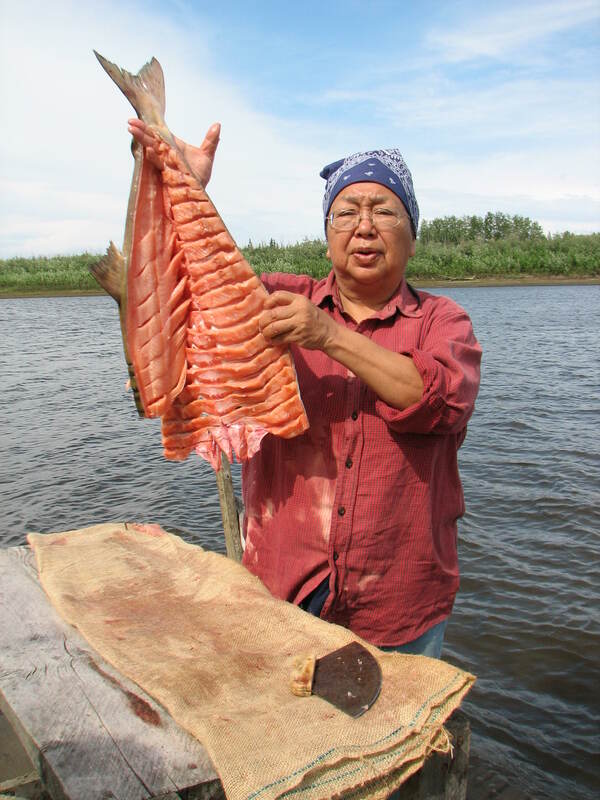 She makes really good eating fish, whether it is half-dried or dried completely or frozen. She loves to pick berries in late summer. She saves them for dessert over the winter or to give away at community events. My sister, Sheri, loves to pick berries too. My mother taught us how to cook for the family. As teenagers, we took turns cooking dinner each night. My mom always had us baking something once a week. Baking isn’t my favorite activity, but the memories of learning how and spending time with my mom and sisters stays with me. I’m grateful my mom taught us how to cook moose meat soup and how to bake fish. I now cook soup and bake fish for my family. As you can see, my mother taught us a lot. I admire her knowledge of the Koyukon Athabascan culture, beliefs and language and her ability to teach and share it. I probably get my love of photography from her. She recently had a minor stroke and my family was pretty scared. She is recovering and doing well in Huslia. Ana basee’ Enaa! Thank you Mother! My (now) friend, Loretta, sent me a Facebook friend request thinking I was her cousin. That was about two years. We ran into each other last weekend and we talked for a bit and parted ways. Her dad was at the event too. Loretta talked with her dad and told him that she ran into me (her ‘cousin’). He told her that we weren’t cousins after all. Loretta found me and she told me that she thought I was her cousin all this time. We laughed about it! I didn’t know that she thought I was her cousin all this time. I told her that we can be cousins. Ha ha! Apparently, I have the same first name as her real cousin and I also look like her. I’m always glad for more friends. Cousins Angela, Tanya and Michelle visited in Anchorage last year. 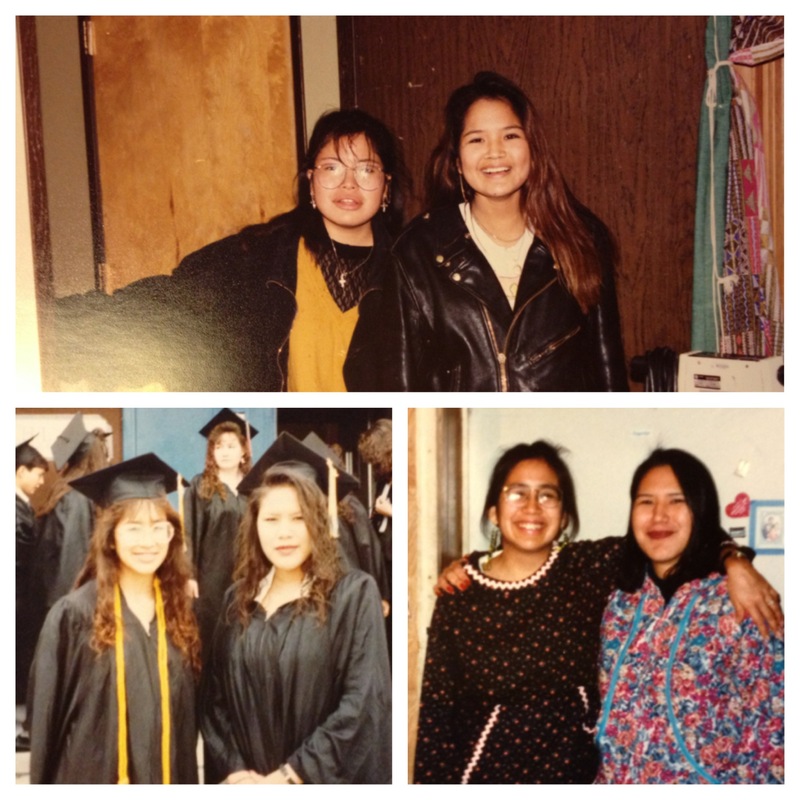 Being from a small Alaska Native village, I’m used to having lots of cousins and extended family. I come from a big family with five siblings. My late aunt had 14 children. That is not to mention all of the second cousins. 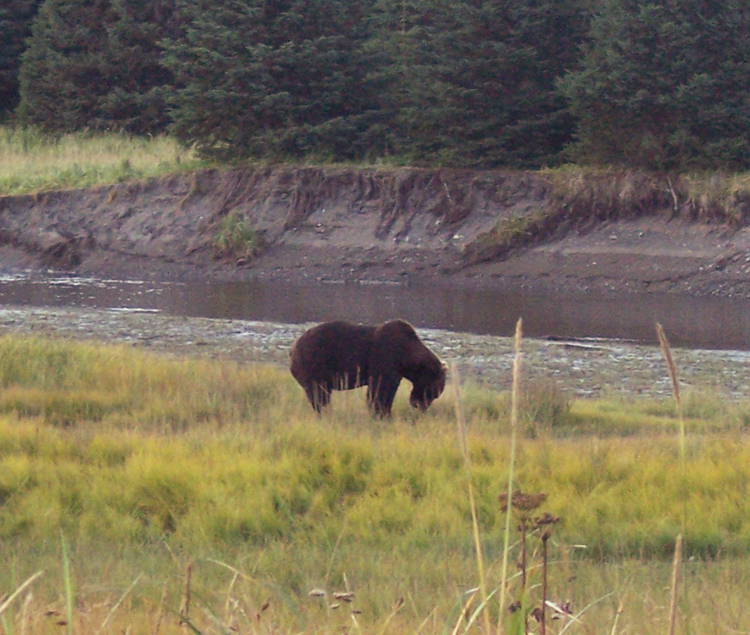 I basically have relatives all up and down the Koyukuk River and in the interior. Top: Cousins Gloria and Tanya. Bottom: Michelle and Angela. Photos taken in the early 1990’s. Some of my best friends are my cousins. I’ve gone on so many adventures with them. They are like my sisters and brothers. We are spread all over the place, but still connected. We tease each other. Some of us aren’t technically cousins, like I’m their aunt or they are mine. We consider ourselves cousins because we are close in age. I once won a dance contest with my late cousin, Hudson Jr. It was a rock and roll dance contest. Fun times! One of my first cousins is my adopted sister, Tanya. Our aunts and uncles help raise their nephews and nieces. Native families help each other out. My daughter and I visited with my first cousins, Wendy and Olin. My mom always made sure to tell me who my cousins and relatives were, because we weren’t allowed to date them. Just saying this makes me laugh. I was pretty much not allowed to date anyone on the Koyukuk River. All kidding aside, I consider some of my cousins are like a sister or brother to me and some are my lifelong friends. I don’t see them as much as I used to, but we manage to stay in contact. It is great to see what they are up to and what they have accomplished in life. Some of them are engineers, nurses, teachers, tribal leaders, and more. I’m proud of them. I love my cousins! I am often saddened by the loss of my Koyukon Athabascan culture, traditions and language, and not being able to pass ‘everything’ to my children. Theoretically, I would like to learn the Koyukon Athabascan language, but it seems overwhelming to try to learn it on my own. There are more speakers and resources in the interior. I know a lot of words in Koyukon, but I don’t know how to speak or write it out. My dad’s work as an electronics technician brought us to a lot of different places around Alaska. 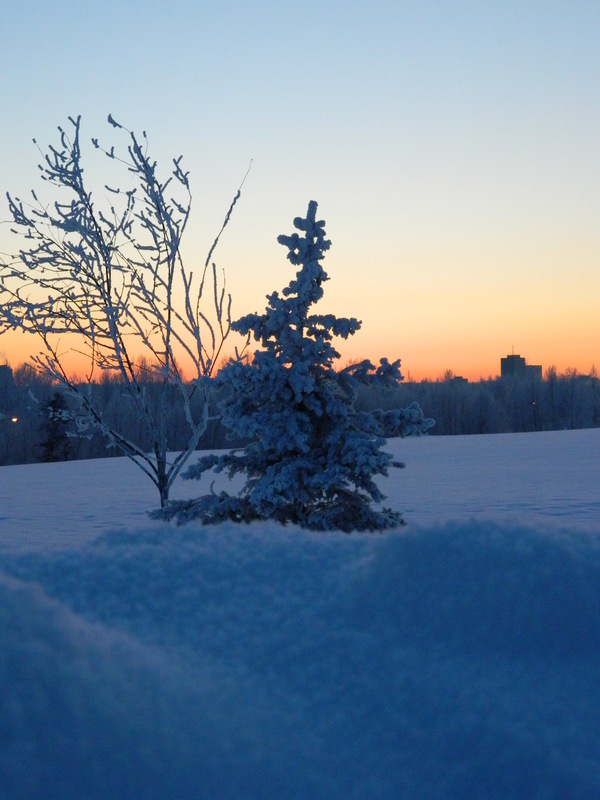 We’ve lived in Nenana, Huslia, Galena, Fort Yukon, Nome and Bettles. My grandparents visited sometimes in the various places we lived. I treasured the time that I spent with them. Nowadays, some of my grandparents have passed away. Since I live in Anchorage, I don’t get to spend as much time with my grandparents. We consider our grandparent’s siblings our grandparents as well (vs. great aunt or uncle). Despite where we live or how far away we are from our culture, I think that there are ways we can hang on to it by learning it from an Elder. I sometimes give my elder relatives a ride when they come to Anchorage, so I have an opportunity to learn something from them. A couple of years ago, I gave a ride to my uncle Tony Sam, Sr. and late aunt Emily. It was a cold winter day and the trees had frost on them. Uncle Tony told me when the trees get frost on them, it means a cold spell might be coming. He told me the Koyukon Athabascan word, but I don’t remember it. The word means the tree is putting on a warm parka. I always think about that story when I see frost on the trees. What’s one thing you can learn from an Elder today? Preserving our culture does not have to be this huge and insurmountable task. You can learn and practice your culture in little ways. I was talking to a friend, Emily Gray of Allakaket, about it last month. I asked her about one thing she learned from an Elder recently. She said, “I learned that you have to pray in our language. It is more powerful.” I think Emily is going to learn how to do that. You can learn your culture by asking people about it. Call up your friends and relatives or visit them and start asking questions. 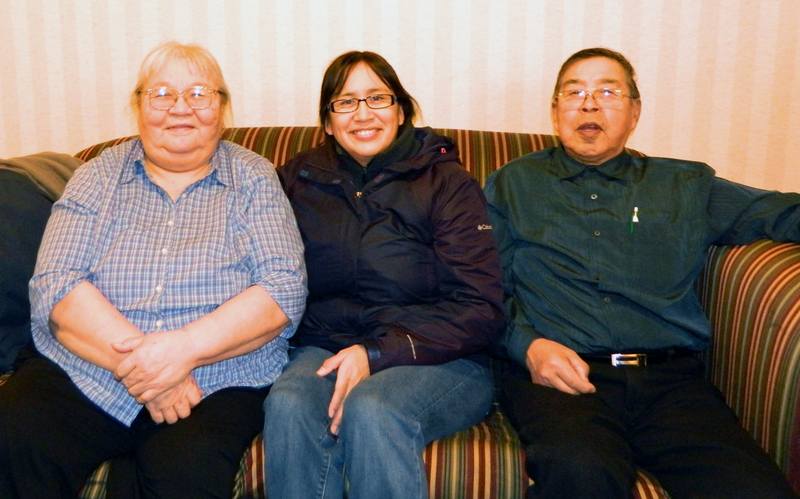 Angela recently visited with her grandparents Bill and Madeline Williams of Hughes. My grandmother, Madeline Williams, teaches in Hughes. She has raised all of her kids plus one of her grand kids. I was talking to her about this subject and she had some advice to parents. Grandma Madeline said, “Some parents are afraid to tell their kids what to do. How else are they going to learn?” I think she meant that we as parents might expect kids to know how to do things or learn on their own. For example, if we want our kids to know how to cut fish, we have to show them and let them do it. 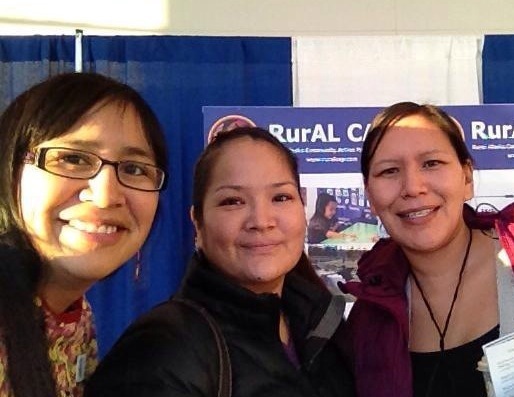 Last year, Grandma Madeline worked on a digital story with the Alaska Native Tribal Health Consortium (ANTHC). ANTHC helps to produce digital stories focused on health and wellness education. Producing your own digital stories are a great way to preserve your traditions, cultures, and a little piece of your history. 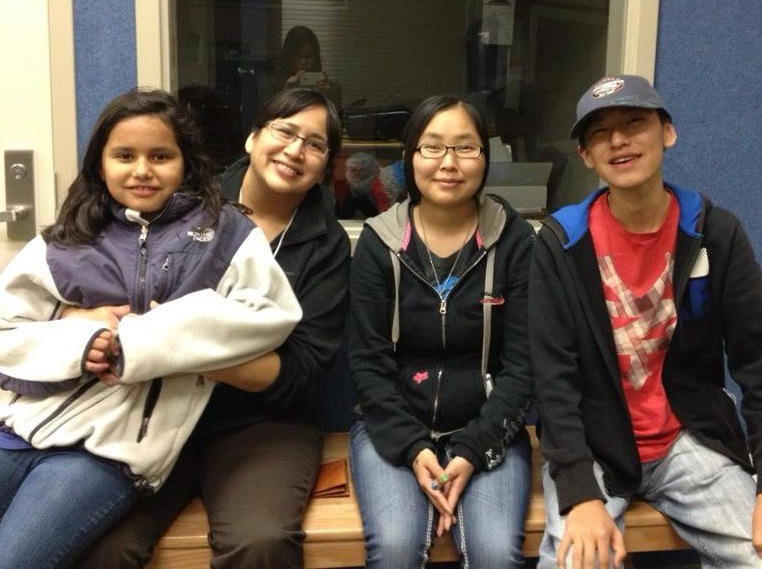 A few years ago, the University of Alaska Fairbanks produced Raven’s Story with KIYU radio in Galena. The stories are from elders from the interior. I try to listen to them every once in a while, sometimes just to hear their voices. I learn something new each time. 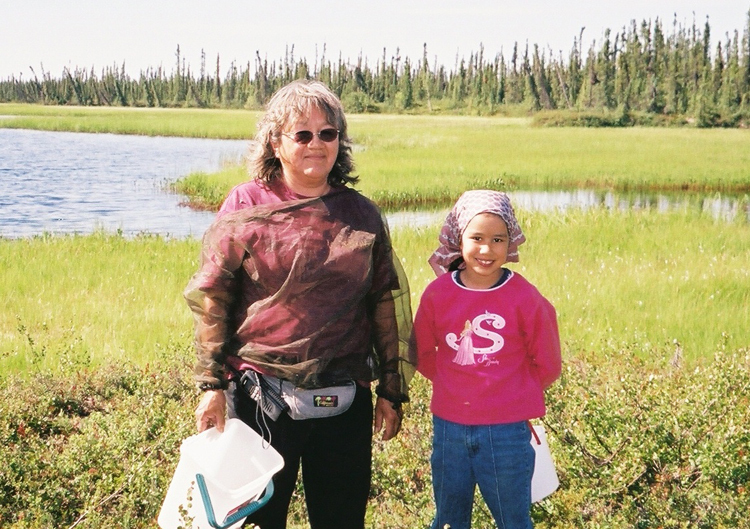 I shared a story about growing up in fish camp for Arctic Entries in December. Preparing for the event helped me to remember things. I talked with my family and asked them about their favorite memories from camp. You can listen to the audio recording here. It was great to reminisce about the old days. You can learn a little bit along the way. 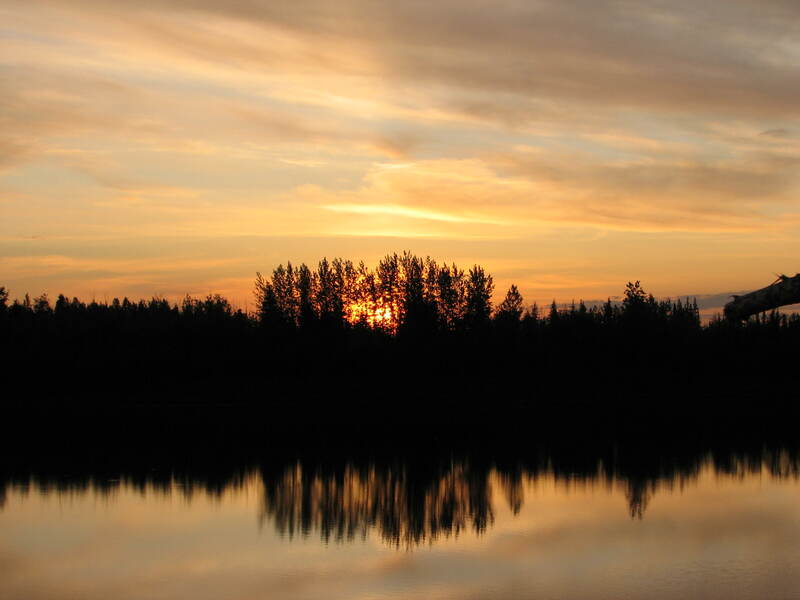 Each week, the Fairbanks Daily News-Miner has a feature called, Athabascan Word of the Week. Susan Paskvan (Koyukon Athabascan) is the main contributor of the feature. 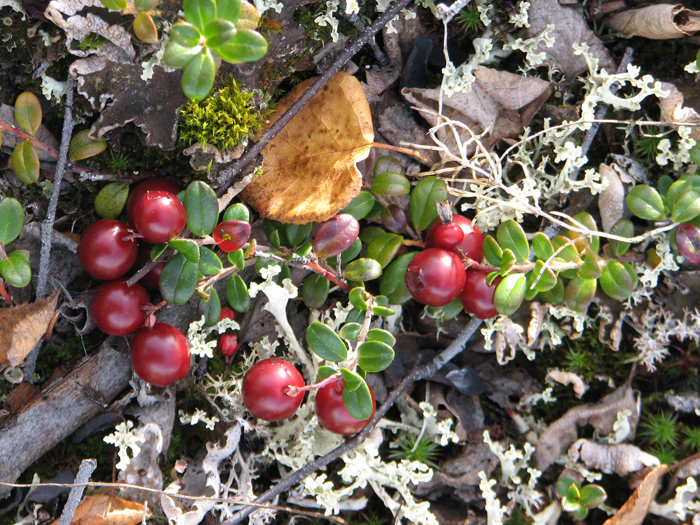 Learn about how to say food in this week’s Athabascan Word of the Week. A friend, Albert Chacon, is preserving traditions and cultures by producing documentaries on bird singing. He has been working on a documentary called, “We Are Birds“. Over the past few years, we’ve discussed the need to preserve our cultures. You can follow Albert and his work here and on Twitter at @CaliNDN. Preserving our traditions, cultures and language can be done by learning, practicing and sharing. Learning can be done in little bits here and there. There are so many different ways to preserve culture and traditions, including voice recordings, documentaries, writing, storytelling, photography, artwork, researching your family tree, and digital stories, etc. I am far from being fully versed in Koyukon Athabascan cultures, traditions and the language, but I will learn more and teach my children what I know and what I’ve learned along the way. 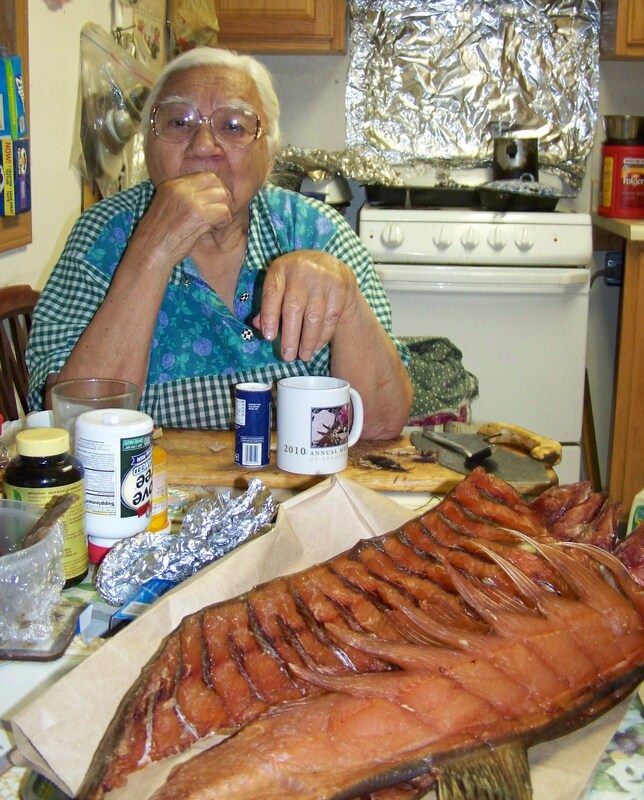 Koyukon Athabascan people have spiritual beliefs about hunting, fishing and gathering. I have grown up with a few that I still believe and follow. While there are many similarities of beliefs, there are also many differences among Athabascans. 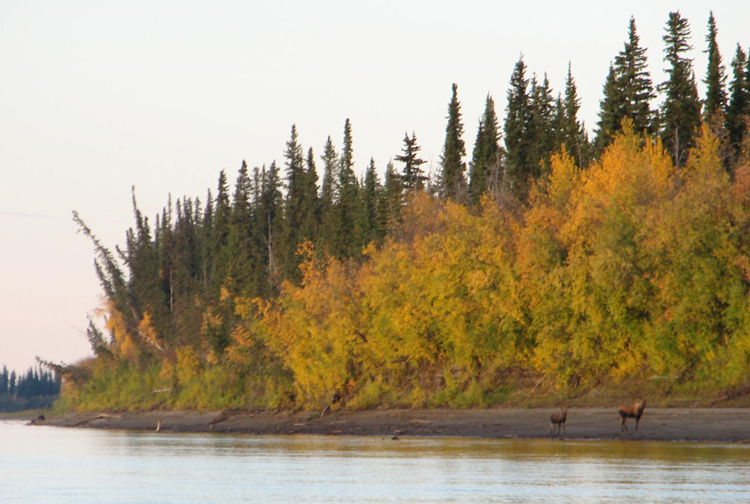 This is what I learned growing up along the Koyukuk River. I was raised to respect the land, animals and hunters from a young age. When you go out hunting, you wouldn’t say, “I’m going out moose hunting.” You wouldn’t want to give yourself bad luck by assuming that you are going to get a moose or other animals. That is paying respect to the animals. If you do get a moose when you go home, you do not brag about it. You don’t want to give yourself bad luck the following year. Girls in my family were not allowed to step over clothes, hunting tools and other items belonging to men and boys. Girls are not allowed to look at bears, talk about them or eat bear meat. If we did need to talk about it, we referred to them as ‘big animals’. 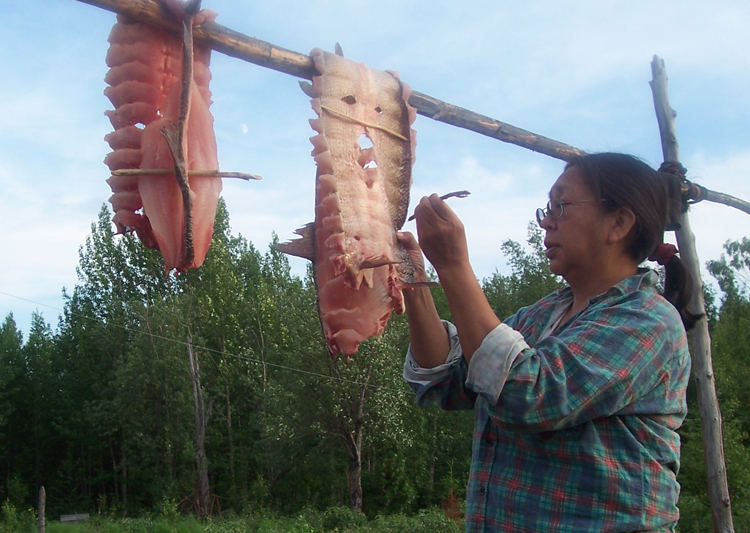 The only women who were able to say the name or eat bear meat are older women. If you did any of the taboo things, you would be wishing them bad luck in hunting and other activities. I remember thinking it was so unfair that the boys got all of the respect. I had chores of dishes, cooking and cleaning. I challenged my mom several times about the belief over the years. Her response was that it was hutla’nee (taboo). The boys had to do some chores inside the house, but most of them were outside, like chopping wood, feeding the dogs, picking up dog poop, and cleaning the yard. Looking back on it, I see that we did the same amount of work, but the chores were just different. My parents and grandparents grew up in a different time. Survival was important and a daily thing. I see now that young boys and men had to be able to pick up and go out hunting at a moment’s notice. Their hunting gear needed to be in good working order. Their clothes, especially warm gear, had to be clean, dry and hung up in a place they could find it right away. Girls also went out hunting, and if they did, they were just as well taken care of. Women had to be providers too. Boys were raised to hunt and provide for a family. That is no easy feat. If they didn’t learn how, that means there would be no food on the table. Hunting and gathering is a year-round business, and a lot of work. Bears a respected and a powerful animal, physically and spiritually. Bad luck was not something you want to have when you are out hunting, fishing, trapping or gathering. You respected the animals by not taking more that you needed. You respected the land by not damaging it or littering. Shadows on the Koyukuk: An Alaskan Native’s Life Along the River by Sidney Huntington is a great book to learn more about beliefs and life of Koyukon Athabascan people. Times are changing. We still hunt, fish and gather, but we can get store-bought food in between harvests. Some beliefs are not as strictly held as before. Girls are participating in more hunting activities, and are providing for families in different ways too. I am finally beginning to understand some of the beliefs, but I realize I still have a lot to learn. I see many Alaska Native people have similar cultural beliefs about respecting the land and animals. I admire strong people. Thank you ancestors for surviving. I know life was hard. I’ll try to remember that as I go through life. You survived. I’m surviving. I don’t pretend to know your struggles, but I have an inkling. Struggles are different today. While I entertain myself with TV, internet, and various electronic devices, you were entertained by storytelling. In the fall time, you shared most of the creation stories about animals like raven, frog, wolverine, beaver and more. You must have had a strong mind. You had a lot of children and lost many to childhood diseases and accidents. Without a hospital nearby, there were often had tragic endings. I love and cherish my two children and cannot imagine your heartbreak. You had traditional memorial potlatches in memory of those who have passed on. As a child, it was fun for me to connect with friends and eat delicious food. As an adult I know that it was an important part of the grieving process. I know you had ways of coping with loss and heartbreak, and I continue to practice some of those ways. You had a strong connection to the land. I feel that connection because I am drawn to it. I hunt, fish and pick berries on that same land. While you read the weather patterns, I read the traffic patterns. Despite our differences and changing times, I feel the connection to you. I realize how hard you had to work and how strong you must have been to survive. How can I make my mind strong like yours? What did you do when times got tough. You prayed. Your strong beliefs and taking care of the land helped you survive. You didn’t take things for granted. You took care of sisters and brothers when your parents were providing for you. What do I have to complain about? What can I do to have a strong mind and heart. Pray. Believe. Survive. I might not remember all of the stories or speak Athabascan fluently, but I’ll do my best to teach my children the same values you passed on to me. I am here because of you. Ana’ basee’ ancestors.